Use proven homeopathic herbal remedies that help support your physical, emotional and mental wellbeing! Feel better and maintain healthy eyes with natural vision remedies. They are natural, chemical-free and without the risk of side effects! 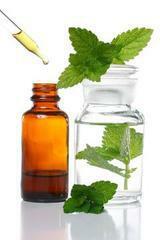 A 100% natural, safe and proven herbal remedy supports the natural ability of the eye to resist infection and disease. Helps promote the health and strength of eye capillaries, and in maintaining a healthy supply of blood, oxygen and essential nutrients to the eye. Regular use helps to keep eyes healthy, bright and problem-free. Many natural remedies for eye infections have been formulated with specific ingredients to promote eye health and visual efficiency, thus preventing common eye problems. One such herb is Vaccinium myrtillus (bilberry) which is known for its ability to maintain the strength of the tiny blood vessels of the eye and help facilitate delivery of essential oxygen and nutrients to the eye. Many common eye (ocular) disorders disappear without treatment or can be managed by self-treating. Various products, from artificial tears and ointments to ocular decongestants, are available over-the-counter (OTC). These products can help with dryness, itching, or excessive watering of the eye, but beware ... they have no therapeutic value and may contain one or more ingredients that can create sensitivities. Imporantly, what may seem like a minor eye problem may lead to a severe, potentially blinding condition. Two important factors to remember when considering self-treatment are: (1) if the problem appears to involve the eyeball itself, you should consult a physician immediately; and (2) if you use an OTC eye care product for 72 hours without improvement of the condition being treated or the condition worsens, you also should see a doctor immediately. Preservatives: Preservatives are included to destroy or limit growth of bacteria that may be introduced into the product during repeated use. Examples of ophthalmic preservatives are benzalkonium chloride (BAK), cetylpyridinium chloride, chlorobutanol, methylparaben, sodium benzoate, and sorbic acid. To avoid allergies, many ophthalmic products are preservative free. Excipients: An excipient is a substance that is added to provide physical form to the product, make it less irritating to the eye, or to preserve the ingredients within the product. Useful ophthalmic excipients are antioxidants, wetting agents, buffers, and tonicity adjusters. Natural vision remedies help keep eyes healthy, bright and problem-free, without harmful side-effects! Whole-grain cereals, seafood, lean meat, poultry and eggs for selenium and zinc. Have an annual check-up by an eye care professional. If you have a family history of eye disease, diabetes, or high blood pressure, you may need to visit a specialist twice a year. Consult your doctor immediately if you notice any changes in your vision. This may include double or blurred vision, halos around lights, parts of letters or words missing from a printed page, difficulty judging depth perception on stairs or curbs, faded or distorted print, washed-out or faded colors, inability to see faces clearly, difficulty seeing when going from light to dark, sparks of light appearing off to the side, sudden pain in one or both eyes, or sudden appearance of "floaters" in your line of vision. Protect your eyes from harmful light and irritants such as ultraviolet (UV) rays, dust, wind and bright lights and be sure to wear sunglasses that protect your eyes from UV rays. Take care to avoid accidental injury to the eyes by wearing protective goggles when doing yard work, using power tools or playing sports. Remember, if a foreign body enters your eye, DO NOT RUB your eye! Rather, wash it with plenty of water. If acid or any other chemical gets into your eyes, wash them straight away with plenty of water and seek emergency care (emergency room visit) or see your doctor immediately. Eat a healthy diet. Research suggests that antioxidants (leafy green vegetables and citrus fruits), carotenoids (carrots, kale and spinach), zinc (beef, pork and lamb), and selenium (fish, shellfish and red meat) play a beneficial role in helping to reduce the severity and likelihood of certain age-related eye diseases.